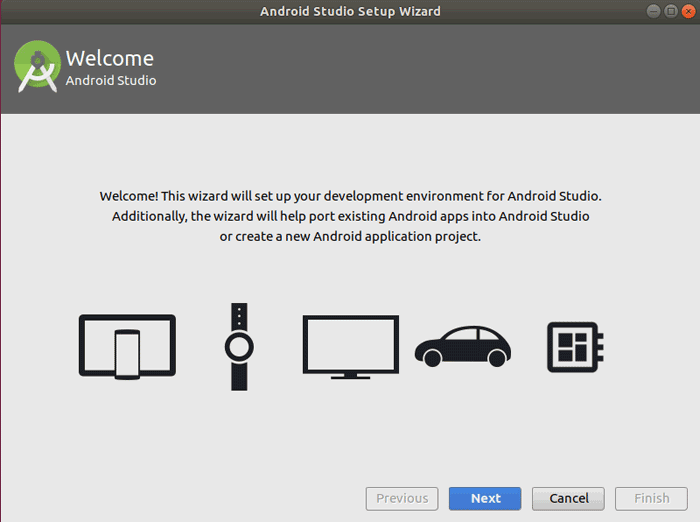 This tutorial explains how to install Android Studio in Ubuntu 18.04 desktop. Android Studio is an Integrated Development Environment (IDE) designed for developing apps for Google Android operating system. 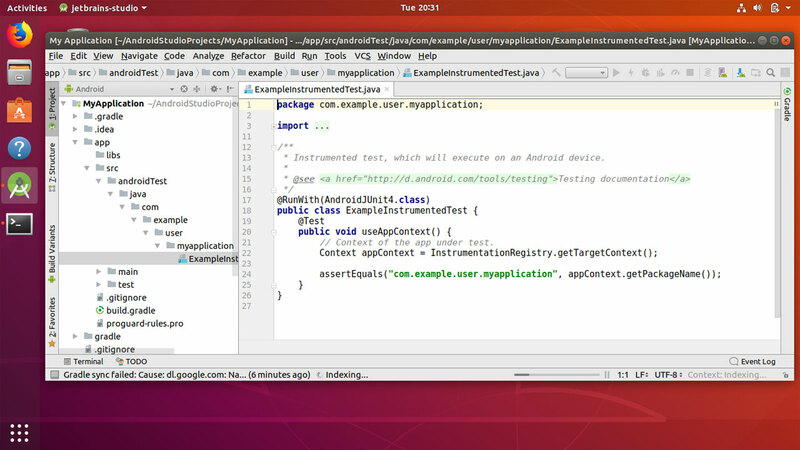 Android Studio is the official IDE for Android development which is based on Jetbrain's IntelliJ IDE. Download Android Studio for Ubuntu 18.04 Bionic Beaver. Unzip the AS zip file. Next, Go to the website developer.android.com/studio/ and download the Linux 64 bit package. 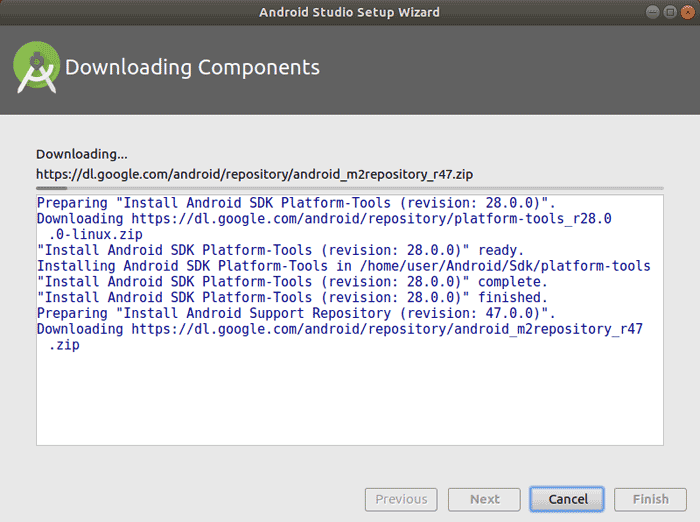 This will launch the Android Studio Setup Wizard which will guide you through the rest of the setup. You can continue with the default options, The wizard will download the Android SDK platform tools and the rest of the components that need to develop android apps on your Ubuntu 18.04 Desktop. To create a desktop entry for application menu, From the Android Studio, Go to Tools menu and click "Create Desktop Entry".